Another cold day in sunny Minnesota… I hope to get time in my sewing room. I am working on a free motion quilting project/tutorial using all of the motifs we have learned so far. I hope you have been practicing! Even if you don’t have time to stitch the motifs, it is very helpful to practice doodling them on paper. Please check out the Quilts tab above and try one tutorial each day this week. Anyone interested in a Link Up—sharing photos of your doodles or practice pieces? I’d love to see them! Such pretty images! A nice way to be distracted from the wintry cold outside! I just stumbled across your beautiful blog, via a quilting photo on Pinterest. I just wanted to say how impressed I am with your free motion quilting. I have signed up to get your posts via email now & look forward to learning more from you. 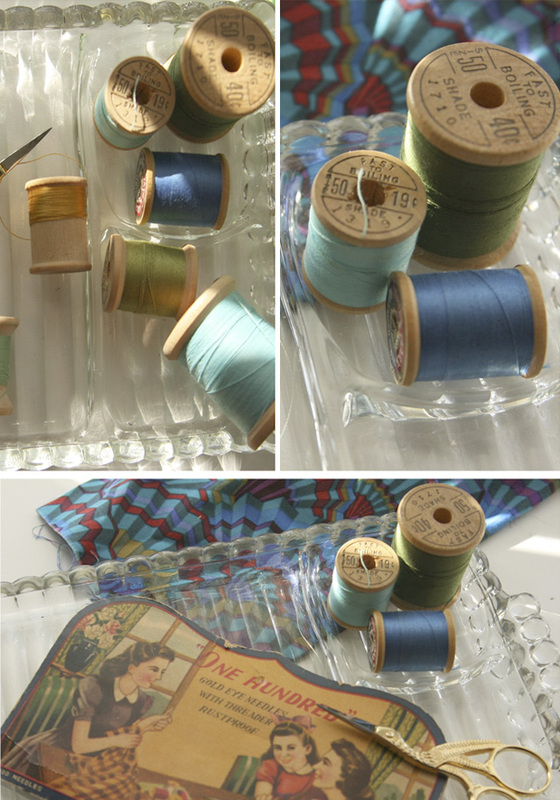 I also wanted to say I love how you’ve used your vintage glass sandwich tray to hold your sewing items! I have my Mother’s set of them, packed away in the basement. I shall get one out & put it to a better use now, after seeing yours. I’m looking forward to seeing your Shamrock creation soon! I’m so glad you found us–and we had this opportunity to cross paths! I bet when you are digging through your basement you’ll find other goodies to use as well! I love to rotate all my glassware–that way it always seems new and fresh to me! Shamrocks coming very soon!